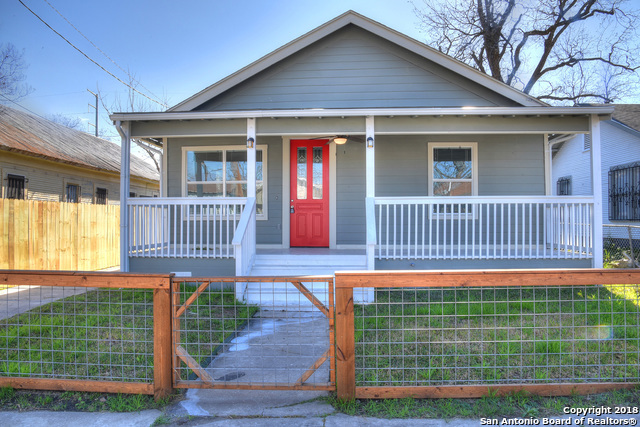 All LOCKWOOD PARK homes currently listed for sale in San Antonio as of 04/25/2019 are shown below. You can change the search criteria at any time by pressing the 'Change Search' button below. "This Charming single level home offers 4 bedrooms, 3 baths including an attached well equipped loft with kitchenette & full bathroom with access to Blaine St. The warm traditional style is punctuated with an open living/dinning room and kitchen with upgraded appliances. Freshly painted. Updated faux wood floors, granite counter tops, to give that elegant touch. Within minutes to downtown and Lockwood Park. Perfect for shopping, dinning and entertainment."